Auckland-based boat builders Alloy Yachts and Yachting Developments and New Plymouth’s Fitzroy Yachts are finalists in the prestigious International Superyacht Society (ISS) 2013 design awards, with the winners being announced tomorrow [30 October]. Alloy Yachts is, in fact, a finalist in two categories with the two most recent motor yachts built by the multi award-winning yard. The newest from Alloy Yachts, the 39.16m explorer yacht CaryAli, was launched in October 2012 and is a finalist in the best 24-40m power yacht category. With naval architecture and exterior design by Dutch designer René van der Velden, CaryAli is described as a go-anywhere explorer yacht well-equipped for long distance expeditions. Finalist in the best 40-65m power yacht category, the Dubois Naval Architect-designed, 47m Loretta Anne has already won several significant awards. 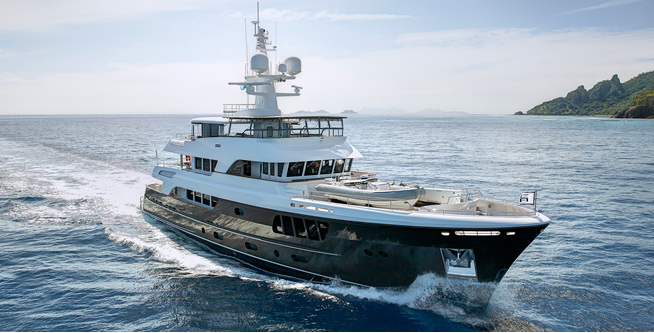 Also launched in 2012, Loretta Anne was named the motor yacht of the year at the 2013 World Superyacht Awards as well as winning the raised pilothouse semi-displacement motor yacht category. The luxury motor yacht also won the 2013 Showboats Design Award for best exterior design and styling for Dubois Naval Architects. The sailing superyachts built by Yachting Developments and Fitzroy Yachts also mean New Zealand is represented in both sail categories of this year’s ISS design and leadership awards. Yachting Developments finals in the 24-40m sail category with Quintessential, one of the largest composite sailing superyacht catamarans in service – she’s 30.5m long and has a beam of 14.6m. 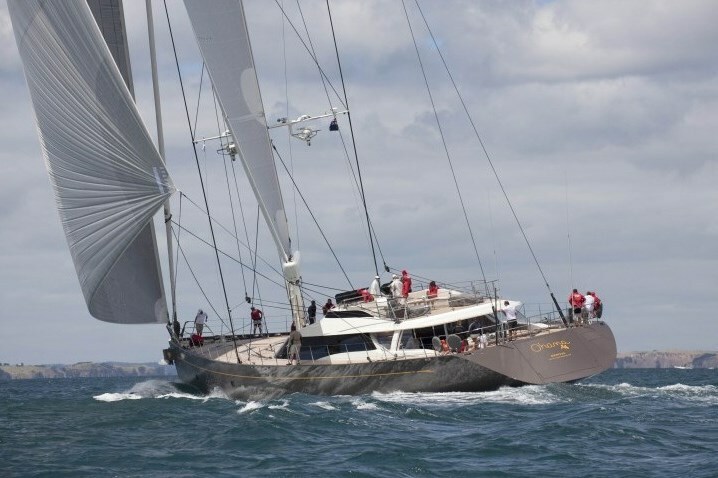 Numerous New Zealand marine industry suppliers contributed to this vessel – she is designed by Warwick Yacht Design from Auckland’s North Shore. Auckland-based Superyacht Interiors New Zealand (SINZ) contributed to the stunning traditional teak interior and spacious outdoor entertainment and bar area. The carbon fibre mast was built by Southern Spars’ New Zealand-based custom projects facility and the sail package custom-built by Doyles New Zealand. Quintessential has already received the judges’ special award for catamarans at the 2013 World Superyacht Awards and also won the interior layout award at the 2013 Showboats Design Awards for her interior designers, UK-based Redman Whiteley Dixon. The team at Fitzroy Yachts is proud of the all-aluminium 50m sloop Ohana, one of just three finalists in the ISS 40m-plus sail category. The first flybridge yacht built by Fitzroy, Ohana is their seventh design by Dubois Naval Architects and their seventh 30m-plus yacht. Launched in October 2012, she’s been a finalist in the 2013 World Superyacht Awards and a finalist in three categories of the 2013 Showboats Design Awards. Stuart Robinson, chairman of the New Zealand Marine Export Group and managing director of Robinson Interiors, is delighted to see his marine industry colleagues being recognised for their talents and skilled workmanship. “The peer-reviewed International Superyacht Society (ISS) design and leadership awards are the final major international awards of the year and, once again, it’s fantastic to see three of New Zealand’s finest custom superyacht builders feature so strongly,” says Robinson. “Alloy Yachts, Fitzroy Yachts and Yachting Developments can all be proud of their achievements being selected as a finalist from the dozens of yachts entered in the ISS awards from around the world. Their achievements also reflect well on every New Zealand company which contributed to these stunning superyachts. 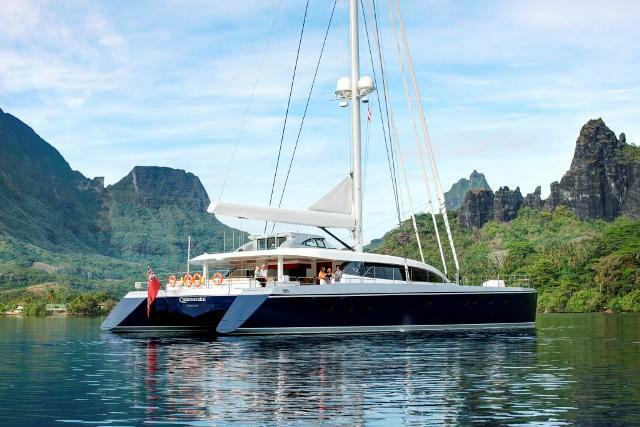 Robinson adds: “I understand Ohana’s owner approached Fitzroy Yachts directly after a series of discussions with a select small group of market-leading shipyards. In Fitzroy Yachts he found a yard willing to both bring their expertise to the build, and also allow the carte blanche needed to achieve a truly custom build. The ISS awards are presented as a gala evening in Fort Lauderdale on 30 October while many NZ Marine member companies are also in town exhibiting their wares at the Ford Lauderdale International Boat Show.